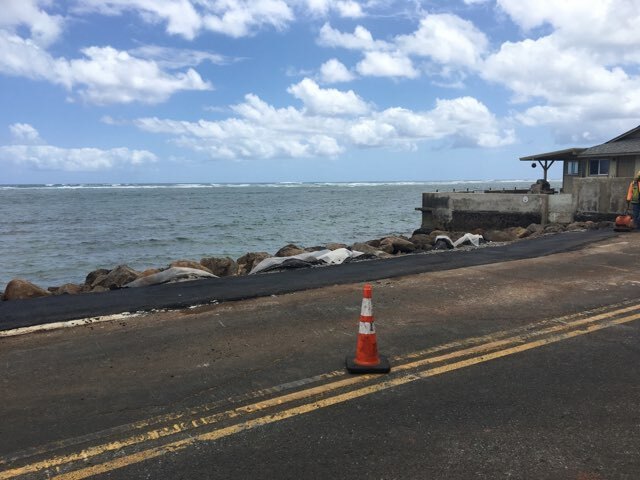 HONOLULU – The Hawaii Department of Transportation (HDOT) provides the following update on the repairs to Kamehameha Highway near Hulahula Place. 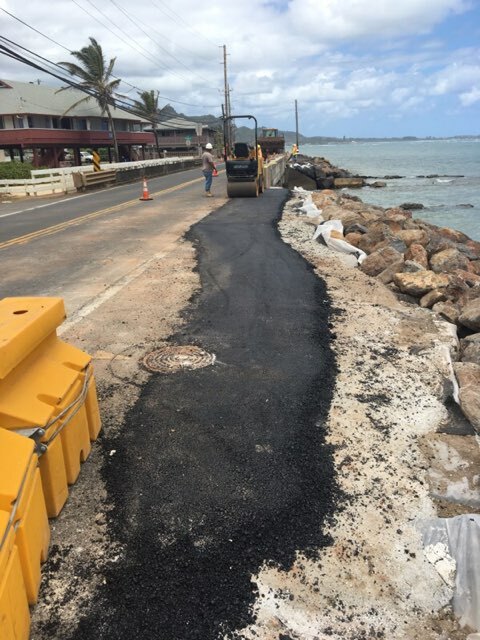 Repairs of the section of highway damaged by coastal erosion have been completed as of Monday, April 15. The repair work began on April 12 and expected completion was the middle of this week. 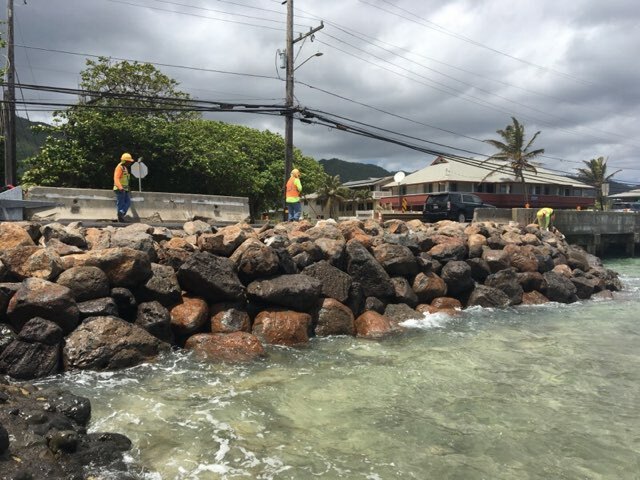 As part of the repairs, crews reset concrete blocks that served as part of the erosion control system. Once the blocks were reset, the area behind the blocks was filled with a concrete mix. 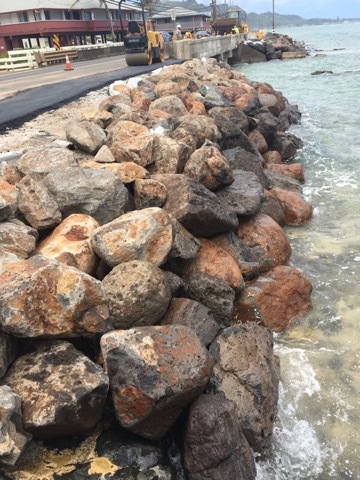 Finally, crews repaved the highway and installed boulders to create a slope that matched the surrounding shoreline. 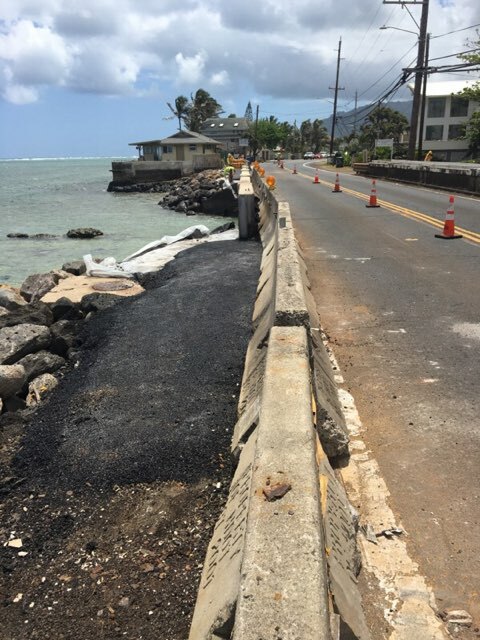 These repairs required the closure of the northbound lane of Kamehameha Highway between Pokiwai Place and Hulahula Place (across the Waimanana Stream Bridge) during work hours. Additional work to replace the guardrails in the area will be scheduled in the near future. HDOT will leave the concrete barriers in place at the shoulder until the guardrail work is completed. A notice will be sent once the guardrail installation is scheduled.